The clamp meter is ideal for measuring AC or DC voltage. The instrument is irreplaceable for inspection work and maintenance in various industrial applications, in research and development, in residential applications and in many small businesses or households. The PCE line of clamp meter is made according to the highest industry standards and very important: PCE offers instruments that are usable in all workspaces (equipped with very small or even very large jaws), the results are reliable and the clamps are easy to use. Every clamp meter is manufacturer calibrated and can be certified to ISO or NIST - hold a PCE clamp meter in your hands and you can feel the quality immediately. PCE offers a variety of models: Voltage detector, voltage leak detector, voltage power detector, metric detector and current detector. In addition many clamp meters are able to measure other parameters, such as capacity, resistance and power - power through clamps directly or by handheld digital instruments with external clamps (with a range ofone or three stages). 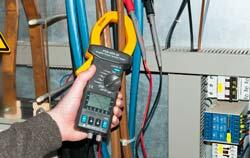 Very often the clamp meter is a real multimeter - so it becomes a general electrical measurement tool. Every clamp meter itself is easy to transport and comes with an easy to read manual, some models with software to be integrateable into modern measurement systems, others are equipped with data loggers (recording clamp meter) to store lots of measured data. The clamp meters, like the majority of our measurement instruments, meet ISO standards. The instruments ever are categorized (CATI-IV electrical safety), so you can see what kind of clamp meter is the best fit for your application or need. When you use a PCE clamp meter you'll see why our clamp meter is preferred by professional users. 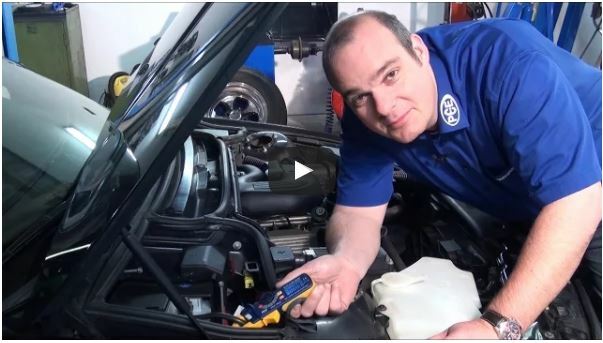 As a sample, you can watch a video concerning the use of the PCE clamp meter PCE-DC 3. It is an instrument for main use in residential applications or as to see in the video for auto / car electrics testing in garages. Using a clamp meter is one of the easiest and most reliable way of checking, testing and evaluating electrical power lines in AC or DC voltage or even to do power analysis at one to three phase power systems, to check power factor or resistance measurement. The clamp meter PCE-HVAC 6-ICA was specially developed for the tradesman in the field of heating, ventilation and air conditioning technology. This PCE-HVAC 6-ICA clamp meter is ideal for many inspection and maintenance jobs in this area. You can buy the clamp meter PCE-HVAC 6-ICA here in our online shop. The clamp meter PCE-HVAC 6 was specially developed for the tradesman in the field of heating, ventilation and air conditioning technology. This PCE-HVAC 6 clamp meter is ideal for many inspection and maintenance jobs in this area. You can buy the clamp meter PCE-HVAC 6 here in our online shop. This clamp meter is used for single-phase or three-phase measurements of the active, reactive and apparent power, power factor, phase angle, energy, voltage, current as well as peaks and harmonics up to 50º of the harmonic waveform. The clamp meter is equipped with data logger. The test instrument is delivered manufacturer calibrated (ISO or certification as an option). The PCE-CM 3 clamp meter is used for quick and easy AC measurements. For current measurement, the PCE-CM 3 clamp meter is plugged over the live conductor. The clamp meter PCE-CM 3 is particularly suitable for the measurement of alternating current in distributions and wherever circuits must not be interrupted. Mini Clamp Meter for measuring AC current, AC voltage, DC current and frequency. PCE-DC 1 clamp meter is designed to indirectly detect AC/DC current and frequency. The clamp has one white LED which illuminates the point of measurement. Users can test the voltage without contact. Small dimensions of this test instrument allow to take measurements in places with limited access. The clamp meter is delivered manufacturer calibrated and can be certified according to ISO or standards. PCE-DC3 is a user-friendly digital clamp meter with automatic range selection used to measure AC/DC electrical currents with high accuracy. Combining a basic digital multimeter with a current sensor, the PCE-DC3 clamp meter features a thoughtfully integrated backlit LCD screen and built-in flashlight for illumination in dark spaces. In addition, the clamp meter's compact size allows unique access to small and hard-to-reach places. The flexible clamp meter PCE-CM 40 is suitable for current measurements up to 3000 A AC. In addition to TRMS current measurement, the flexible clamp meter PCE-CM 40 can be used to measure inrush currents. The measurement of the current takes place via a flexible Rogowski coil. This mini clamp meter was developed for the indirect acquisition of AC / DC currents as well as the frequency. A non-contact voltage tester function and a flashlight for illuminating the measuring point were also integrated in this mini clamp meter. The flexible digital clamp meter PCE-CM 40-ICA is suitable for current measurements up to 3000 A AC. In addition to TRMS current measurement, the flexible clamp meter PCE-CM 40-ICA can be used to measure inrush currents. The measurement of the current takes place via a flexible Rogowski coil. Clamp Meter to determine indirectly, the AC/DC currents with high accuracy. With the PCE-LCT 1-ICA clamp meter, it is possible to measure leakage currents in the range of up to 100A. Leakage occurs when a current flows through an electrical conductor that is not normally designed to conduct electricity. The PCE-LCT 1-ICA clamp meter captures these currents and displays them on the display. The Clamp Meter PCE-DC 41 can measure voltages up to 600 V, currents up to 600 A and electrical resistance up to 1000 Ω. To perform a measurement, you can either use the measuring leads, which are included in the package of the digital clamp meter, or you can use the integrated clamp mechanism. By using the clamp of the digital clamp meter, you are able to measure the electrical parameters of an electrical conductor contact-free and without disconnecting it. It is known from the fundamentals of electrical engineering that current must always be measured in a line to a consumer, since the maximum current is determined by the smallest resistance in the electrical network. However, it is often not possible to split the circuit with a multimeter in order to measure the current, or the current in the alternating power supply system is very high so that a contact current measurement is not possible. That is when a clamp meter is needed. How does a clamp meter measure the electrical current? Around each electrical conductor, through which the current flows, a magnetic field spreads linearly regarding the flowing current. In case of the direct current, this is a DC magnetic field and, in case of the alternating current, an alternating magnetic field. Clamp meters use this effect and measure the current via a Hall sensor (direct current) or via a kind of transformer (alternating current), depending on the current type. Which clamp meter should be used? The selection of the clamp meters depends on various factors. The first factor is the nature of the current. The clamp meter for alternating current is most widely used. For applications, when also the direct current is to be measured with the help of a clamp meter, for example, to measure the current of a starter in a motor vehicle, a clamp meter, which can measure the direct current, is needed. Commonly, the clamp meters, measuring the direct current, are also able to measure the alternating current. Another question to consider when selecting the right clamp meter, is the amperage. Generally speaking, the higher the current to be measured, the bigger the size of the clamp meter. A special design of a clamp meter is the Rogowski coil. This type of a clamp meter is often used for very high alternating currents, since very large sizes can be achieved here. Flexible clamp meters are also frequently used for the measurements in the control cabinet. Besides, clamp meters are frequently used for measuring the electrical power. This particular form of the clamp meter is widely used in the electrical measuring technology. The following must be considered here. The measurement with the help of a clamp meter is always possible only if in a 3-phase network, all conductors are loaded in the same way, i.e. symmetrically. For asymmetrically loaded phases, 3 clamp meters must be used. Here, PCE Instruments offers appropriate clamp meters with power measuring functions. A special measuring function in a clamp meter is the so-called inrush function. This function is always used when the starting current of the machines or motors must be measured. The clamp meter is in a kind of standby mode after activation. As soon as the current is detected by the clamp, it is detected with a very high sampling rate and displayed on the screen, also if the current is again on a different level after switching on. Further special functions such as voltage measurement or resistance measurement and temperature measurements complete the range of functions of a clamp meter.